Nestle Malaysia’s net profit climbed 52.4% year-on-year (yoy) in its second quarter ending June 30 to RM189 million, thanks mostly to a lower effective tax rate. In a filing to the Bursa, Nestle also announced the group’s higher turnover of RM1.24 billion, an 8.2% increase from RM1.14 billion in the same quarter last year. For the six-month period, it registered a 31.3% increase in net profit, while revenue rose 5.4% to RM2.55 billion. Hofbauer added that innovation will be a key pillar in Nestle’s growth strategy going forward. 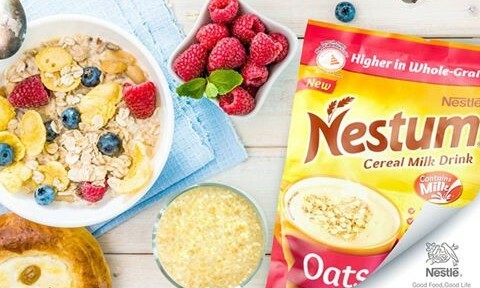 New products launched this year include Nestle Omega Plus Milk with Oats, a new Nescafe Latte range, a new Maggi Royale Noodles variant, and additions to its ice cream range; the Nestlé Aiskrim Tradisi Potong, among others. “We have always focused firstly on improving the efficiency in our end-to-end supply chain in order to keep our prices stable for our Malaysian consumers. Savings from these efficiencies are reinvested to fuel business growth,” Hofbauer said. Hofbauer added it expect that the second half of 2016 will continue to be tough, given volatile market conditions, more intense competition and overall global economic uncertainty. “We are committed towards a balanced business approach of prudent cost management and to focus on enhancing efficiency and productivity to maintain price stability for our consumers especially in a tough environment. Despite this environment, we are optimistic that we are well-prepared due to our resilient framework of strong operations, powerful brands and top notch people,” he added. He added Nestle’s philosophy of “Doing Well, by Doing Good” is in line with its “Creating Shared Values” principles. “This has been the cornerstone of our long-term business success as the leading Nutrition, Health and Wellness Company in Malaysia. These values will continue to underpin our strategy to achieve sustainable profitable growth,” he added. A+M has reached out to Nestle Malaysia for more comments on its marketing strategy and plans. Are CFOs and CMOs able to effectively handle role reversals? Role reversals are never easy, but only by doing so can both parties work together towards a common outcome. ..